Masala Bay, private dining room. 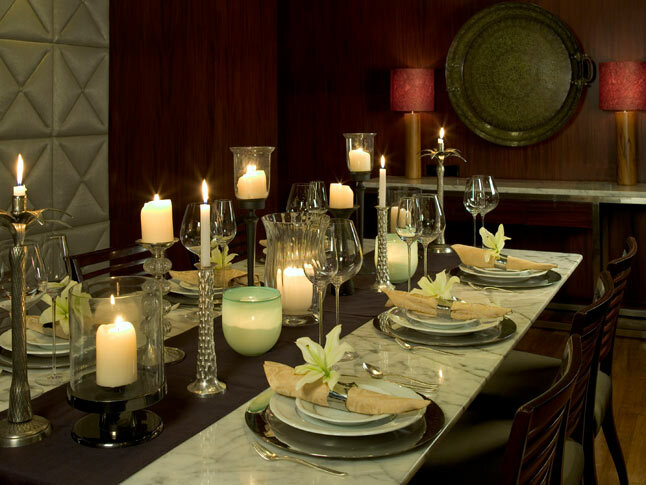 Taj Lands End, Mumbai has introduced a corporate lunch menu at all it specialty restaurants. The hotel located at bandstand offers a panoramic view of the Arabian Sea and the landmark sea-link. It may not be pompous when it comes to food and beverage options but this hotel has a dedicated following specially for restaurants like Ming Yang the Chinese place and Vista the all day diner, more known for its Sunday brunches. One lore speaks of a senior politician, a Bandra resident; having coerced the hotel to open Ming Yang at 2 am in the morning to douse his craving of food from his favorite Chinese restaurant in town. So what it is the corporate lunch all about? Choose two courses from a 3 course (Starter, Mains, Desserts) menu at a price of Rs 2014++ for two people (1007 ++ for 1) across the three specialty restaurants, namely Ming Yang, Maritime by San Lorenzo for Italian cuisine and Masala Bay for modern Indian food. I chose the Masala Bay, and ordered a Main and a dessert. Bhindi Aamchuri was almost oil-free but cooked and seasoned to perfection whilst retaining the crunch of the Okra. 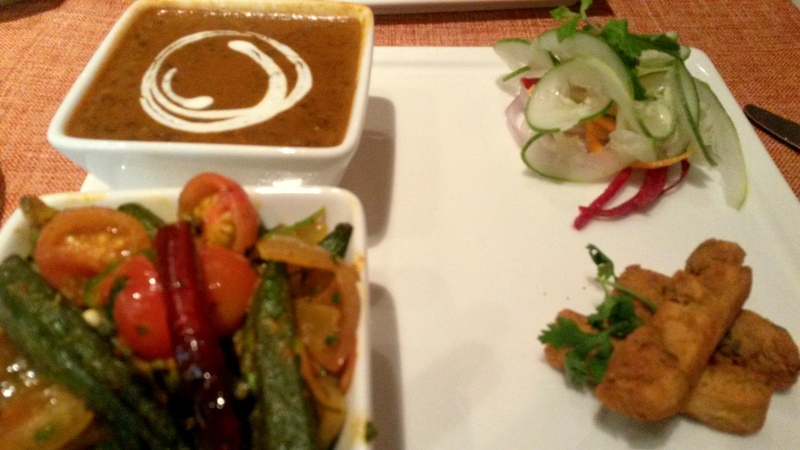 The mains come along with Dal Makhani, Phulkas and steamed rice. The dal was extremely rich and flavoursome. I got a taster of the vegetarian starter, Kothimbir wadi on my main plate, courtesy of the hotel, I had earlier commented on the vegetarian choice of starter to be lackluster as opposed to the Doodhiya Murg Kabab for the non-vegetarians. The mains had done me in but it was not a heavy ‘can’t walk’ kind of a feeling. For dessert was some rich Basundi with Charoli and Anjeer Kulfi, I chose and former, ‘Basudi- Condensed milk flavoured with nutmeg’ the server announced. I felt very content but yet not heavy with the lunch.. Perhaps that’s the idea of a corporate lunch; I was surely productive at work post the meal. Definitely worth a try if you are that side of town!